@ our best, teaching, healing, and caring. Located in our nation’s capital, our 900+ bed, state-of-the-art facility can be your gateway to an extraordinary career. 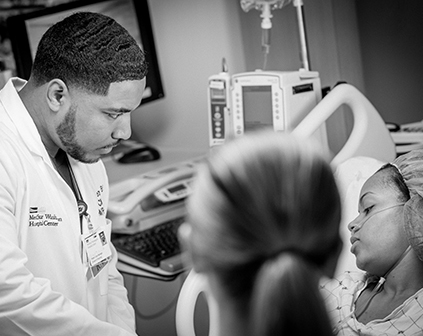 From continuing educational opportunities, to groundbreaking research, to working alongside some of the best in the medical arena, there are so many reasons you should consider bringing your talents to MedStar Washington Hospital Center. Cardiovascular Programs – We’re home to one of the nation’s top cardiovascular programs as well as one of the country’s busiest cardiac catheterization and electrophysiology (EP) laboratories. Washington Cancer Institute – As the district’s largest Cancer Care Provider, we treat more patients than any other program in the nation’s capital. We provide comprehensive, interdisciplinary care that includes surgical, radiation and medical oncology services, access to the latest clinical trials, counseling for patients and families, education and community outreach programs. MedStar Heart and Vascular Institute – We have been the region’s premier destination for cardiac care for more than 55 years. Today, we are consistently ranked as one of the nation’s top cardiac programs by U.S. News & World Report and The Society of Thoracic Surgeons. MedStar Orthopaedics Institute – As the area’s leader in the diagnosis and treatment of orthopaedic conditions, we combine the experience and expertise of dozens of skilled orthopaedic surgeons who use their knowledge and advanced training to customize the solutions for our patients. In addition, we offer a wide range of solutions, both surgical and non-surgical, for the treatment of athletes ranging from adolescent to the professional and master athlete. MedSTAR Trauma – The American College of Surgeons consistently recognizes the MedSTAR Trauma program as one of the nation’s best Level I shock/trauma units. We are also the region’s only advanced adult burn facility. In addition, our air ambulance service has carried tens of thousands of patients since its inception in 1983. Burn Center – The 20-bed facility is the only adult burn treatment center in the Washington metropolitan area and has been committed to the comprehensive care of burn patients for more than three decades. Colorectal Surgery – Our colorectal surgery program is the largest and oldest practice within the Washington, D.C. area providing quality care for colorectal cancer, inflammatory bowel disease, benign lower GI disease, and pelvic floor problems. Neurosciences – For five decades, our Department of Neurology has been a trusted source of care in the region, providing a full range of inpatient and outpatient services for the diagnosis and treatment of neurologic disorders. Visit our hospital web site to learn more about our services. In order to ensure the highest level of care, we seek the finest health care professionals and provide them with an environment focused on career growth and success. As a Top 100 Solucient Teaching Hospital, we’ll provide you with a wealth of opportunities to learn and grow in your profession, or take your career in a bold new direction within the hospital setting. We also support your educational goals by offering one of the area’s best tuition assistance programs. Whatever your professional specialty, you’ll enjoy the support of hard-working and dedicated employees like our Hospital Center SuperStars who work together to achieve ideal patient outcomes. Consistent with its Mission, MWHC is committed to providing equal opportunity for all associates and candidates for employment. MWHC is an Equal Opportunity Employer that prohibits unlawful discrimination or harassment in any employment decision, or in the administration of any personnel policy, on the basis of race, color, religion, national origin, gender, gender identity, age, marital status, personal appearance, sexual orientation, family responsibilities, disability, matriculation, political affiliation, military status, or any other characteristic protected by applicable federal, state or local equal employment laws and/or regulations.